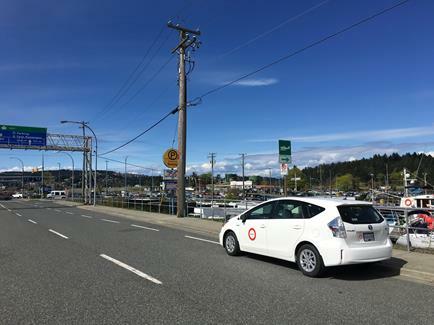 Nanaimo CarShare transitioned to Modo on May 1st! Meet the new additions to our fleet. 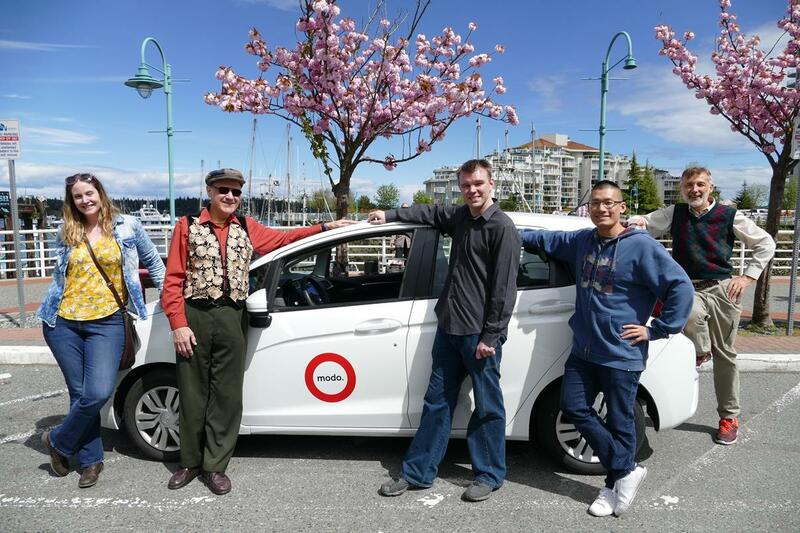 Nanaimo CarShare's transition to Modo is an exciting step for carsharing in our region and members on both sides of the Strait. With six Modo vehicles now located at the four main ferry terminals you can start planning your next adventures! 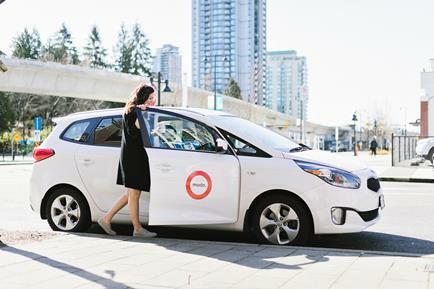 The transition of Nanaimo CarShare to Modo will provide continuity of carsharing and enhanced service to the people of Nanaimo, and all Modo members with improved technology and service and a wider range of vehicles to serve our growing membership. With Modo locations conveniently located in Nanaimo and at either side of the ferries, members on both sides of the Strait will benefit from our membership growth in the region and the new additions to the fleet. These locations will be familiar to members transitioning from Nanaimo CarShare Cooperative or roaming members, but the cars are all new to our Nanaimo fleet. Tips From Our Pros: Confirmation Emails! 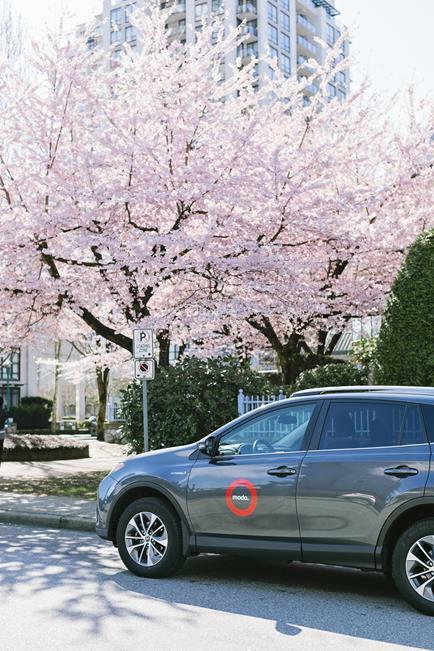 This month's Modo Moves include our four new locations in Nanaimo, as of May 1st Nanaimo CarShare transitioned to Modo. Our four Nanaimo locations are listed below, highlighted in blue. CAR CHANGE at SFU Residence Parking. A 2017 white Honda Fit (#877) has replaced the 2011 Dodge Grand Caravan. CAR CHANGE at Kensington Place. A 2017 white Honda Fit (#903) has replaced the 2015 Kia Rondo. UPGRADE at Burrard Bridge. A 2017 white Honda Fit (#893) has replaced the 2014 Nissan Versa Note. UPGRADE at Electric Avenue / Scotia Theatre. A 2013 silver Nissan Sentra (#481) has replaced the 2010 Sentra. UPGRADE at City Square. A 2017 white Honda Fit (#895) has replaced the 2012 Mazda 3. UPGRADE at Paloma. A 2017 white Hyundai Elantra (#900) has replaced the 2013 Nissan Sentra. UPGRADE at Commercial Street Café. A 2017 white Hyundai Elantra (#905) has replaced the 2013 Toyota Corolla. UPGRADE at City Hall Surface Lot. Among all the other cars, a 2017 white Toyota Prius V (#906) has replaced the 2014 Prius V.
UPGRADE at Kingsgate Mall. A 2014 red Nissan Versa Note (#527) has replaced the 2010 Nissan Versa. NEW LOCATION at Mount Saint Joseph – West Entrance. A 2014 blue Nissan Sentra (#515) now lives in a designated stall on the east side of Prince Edward Street, just north of East 15th Avenue, next to Mount Saint Joseph hospital. This location is very close to both Cynthia Manor (in the lane, half a block west of the hospital) and Mount Saint Joseph – North Lot (in the parking lot north of the hospital) – please double-check which car you’ve booked. UPGRADE at Windsor & E 11th. A 2017 white Hyundai Elantra (#885) has replaced the 2009 Nissan Sentra. NEW LOCATION at Dieppe. A 2016 white Honda Fit (#757) now lives on Dieppe Drive between Falaise Avenue and Malta Avenue (3200 block), between the two parks bounded by Dieppe Place. UPGRADE at W 20th & Oak. A 2017 white Toyota Corolla (#878) has replaced the 2014 Nissan Sentra. LOCATION MOVE – Construction has overtaken our old parking spot at All India, and so our 2013 grey Dodge Grand Caravan (#325) now lives at Sunset Park, on the south side of East 51st Avenue, in the block between Prince Edward Street and St. George Street. NEW LOCATION at Oceanside Hotel. A 2017 white Hyundai Elantra (#884) now lives behind 1847 Pendrell Street ("Oceanside Hotel"), between Denman Street and Gilford Street. NEW LOCATION at W 10th & Discovery. A 2017 white Honda Fit (#894) now lives in the 4200 block of West 10th Avenue, between Discovery Street and Courtenay Street. Park on the north side of the street, as close to Discovery as possible. NEW LOCATION at Grindstone Café. A 2017 white Toyota Corolla (#883) is parked behind the Grindstone Cafe, 504 Herald Street at Store Street - on the left as you enter the Monarch Furniture parking lot. NEW LOCATION at Bay Centre. A 2017 white Honda Fit (#892) now lives in the Bay Centre Parkade. Enter from View Street, between Government Street and Broad Street; our stall is on the entrance level, next to the electric car charging station. UPGRADE at Cook Street Village. A 2017 silver Toyota Corolla (#901) has replaced the 2009 Nissan Cube. NEW LOCATION at Port Place Mall. A 2016 white Honda Fit (#742) is parked on the short, unnamed street that runs from Terminal Avenue to the west side of Port Place Mall, between Wendy's and Casino Nanaimo. Our parking stall is on the west (Casino) side of the street. NEW LOCATION at Prideaux Exchange. A 2015 white Kia Rondo (#689) is parked in the lot beside the Prideaux Street Transit Exchange, on Prideaux Street between Fitzwilliam Street and Franklyn Street. NEW LOCATION at Pacific Gardens Cohousing. A 2013 red Toyota Corolla (#456) – with a bike rack – is in the parking lot at 347 Seventh Street (Pacific Gardens Cohousing), just off Seventh Street between Park Avenue and Short Avenue. NEW LOCATION at Departure Bay Ferry. A 2014 white Toyota Prius V (#540) is parked in a reserved curbside space on the Newcastle Channel side of Stewart Avenue, between Zorkin Road and Drake Street. If you're coming from the ferry terminal, this is 200 metres across the parking lot toward the traffic light at the lot entrance. 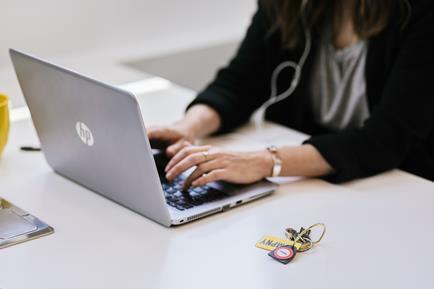 Whether you've just booked a vehicle or want to change the duration of a booking, confirmation emails are an easy way to keep track of your booking and confirm changes. If you add time or end a booking early, or even cancel one, check your email for a confirmation to avoid any issues. Tip: Log in now to make sure the email address in your settings is up to date, so you don't miss these helpful reminders! Your Modo is waiting at Departure Bay! Walk off the ferry and drive away, making your next trip to Tofino more relaxed. Modo Ambassador Alicia Haque has some great advice for your Tofino adventure. Staff Tip: This vehicle has a Push Button Ignition. Learn more about keyless driving on our blog. Carsharing and transit work well together! Use our Vehicle Search function to search for Modo vehicles close to a SkyTrain station. Tip: Check out our fleet additions along the Evergreen Extension for your next trip to Buntzen Lake! Thanks for taking time to complete our annual member survey. Your feedback helps us continue to strive to provide the best service possible. As a thank you, you'll be entered to win $200 free drive upon completion. Starting April 26th and ending May 16th, bookings in these cars are 10% off! Note: Any bookings at these specific locations during the Seat Sale period will automatically have the discount applied.Our next Seat Sale will start May 17th, check our Seat Sale blog post for the updated locations! >> GOOD COMPANY Local Coworking space CMPNY (with locations in Burnaby, Coquitlam and soon Vancouver) took over Modo's Instagram in April. Check out their great Modo shots. >> EXPLORING VICTORIA New Modo member Charmaine Niebergall took advantage of her "carsharing freedom" to explore new hikes and destinations around Victoria. >> SENIORS ON THE MOVE We've teamed up with Burnaby Community Services as part of the Seniors on the Move program, working to increase transportation options for Metro Vancouver’s aging population! (Thanks to member Bonnie Sainsbury for the great photo!) Read more. >> SUN RUNNERS Team Modo was part of this year's Sun Run event. Did you join the race as well? >> COFFEE IN CARS Salt Spring Coffee helped us celebrate 20 years of Modo with 40 coffee bags! 20 were placed in Vancouver, 20 in Victoria. >> MULTI-MODAL MUSINGS New Modo Ambassador and longterm member Keane Gruending shared his multi-modal story in the BEST newsletter. >> FERRY CARS Travel as a foot passenger on BC Ferries, grab a Modo on the other side. You save travel cost and time! Find our updated "ferry fleet of 6" locations listed on the blog. >> JOIN THE TEAM Modo is hiring a Fleet Service Technician and an Upfitting Technician. Feel free to share the opportunities with your network! Modo is a proud sponsor of Western Canada's largest documentary film festival. Stay tuned for free tickets in Modo cars! See what's on the schedule this year. This year, the 7th annual Carsharing Association Conference will take place in Montreal, Quebec. Two days, twenty talks (featuring Modo's CEO Patrick Nangle) that will shape the future of carsharing. Info. HUB's Bike to Work Week is coming up! With over 50 celebration stations and lots of prizes to win, this event is just another good reason to get your bike ready for spring. Register here. 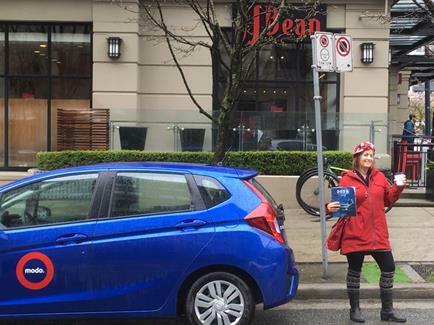 Modo is a proud sponsor of the annual Commuter Challenge, promoting a multi-modal lifestyle encouraging participating workplaces to walk, cycle, carpool, carshare to work! Register your team.